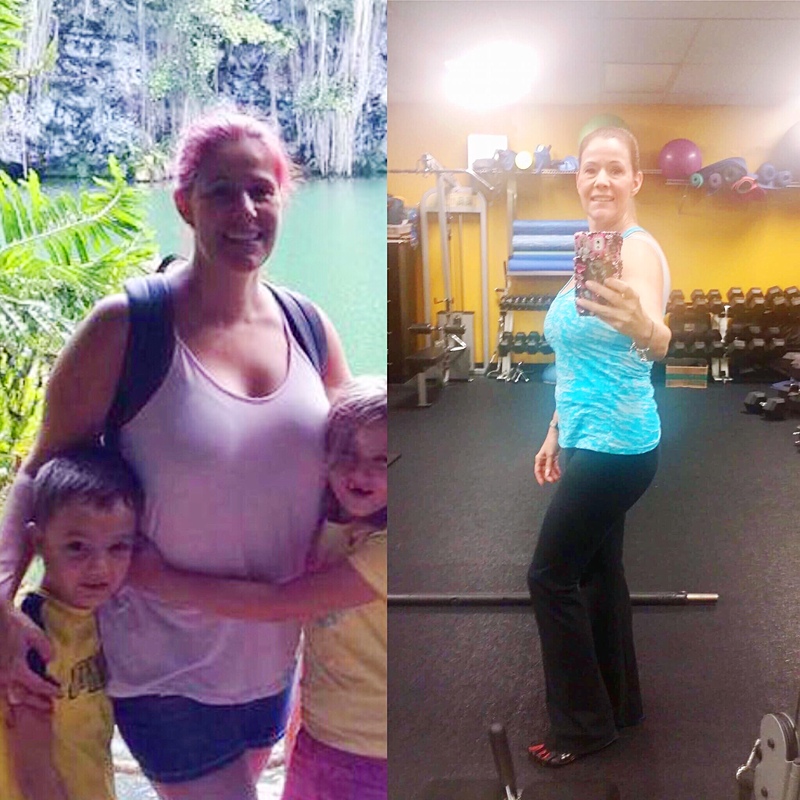 This is the story of how I lost 15 pounds, began to heal my chronic migraines and helped me family become healthier through the 30 Day Clean Eating Challenge. My name is Nancy I am 42, mother of 3 kids ranging from the age of 2 to 8 years old. I’m married to a wonderful man that is my biggest support in all I do. 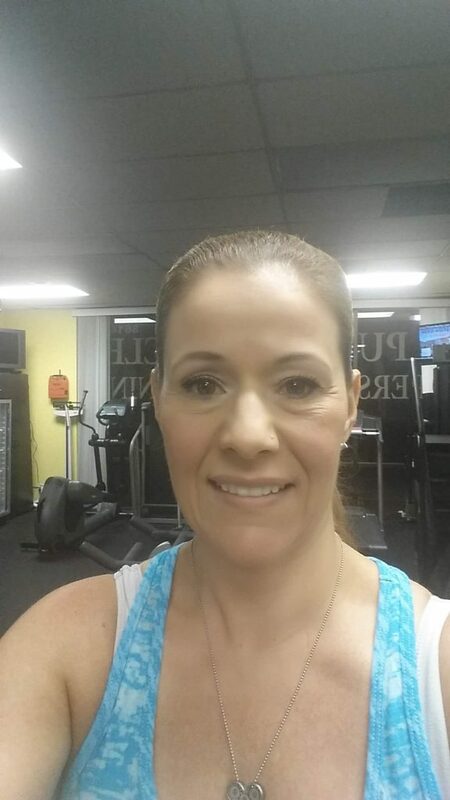 I work an average of 45 hrs per week and I enjoy my workouts, especially Zumba classes. Before I had my 3rd child I was working from home part time and that allowed me to exercise regularly and cook healthy meals. But after my divorce, I started working full time, and with 2 kids it was really hard for me to keep up with the cooking. After my 3rd pregnancy I thought It would be impossible for me to work out again and couldn’t see how I would be able to make it work. Then 2 years after my 3rd child I sat down with my husband and we worked on a workout schedule for me. It’s not always easy to wake up at 5AM to workout but I do it twice a week with my husband (he’s a personal trainer and writes my workouts) and I also take classes on weekends for fun. But one of the things I love about the 30 Day Clean Eating Challenge is that a lot of the people who have transformed their lives and bodies did it PURELY through Clean Eating without exercise. This is so promising for those of us who can’t workout for whatever reason. My groceries used to consist of chicken nuggets, chips, pizza and other processed foods… one day I looked at what I had in my kitchen and decided enough was enough. I didn’t know where to start and I’m always so busy that I don’t have much time for cooking and preparation during the week. I only have 2 days to shop prep and get ready for the week so time is precious. Now, I cook Clean Eating recipes all the time and have a plan I can trust. I saw Rachel’s website and LOVED that she was a busy mom with simple, easy to make recipes. Plus, she had her own transformation (pictured above) which inspired her to create this challenge in the first place. I started trying recipes but didn’t commit to the plan just yet. 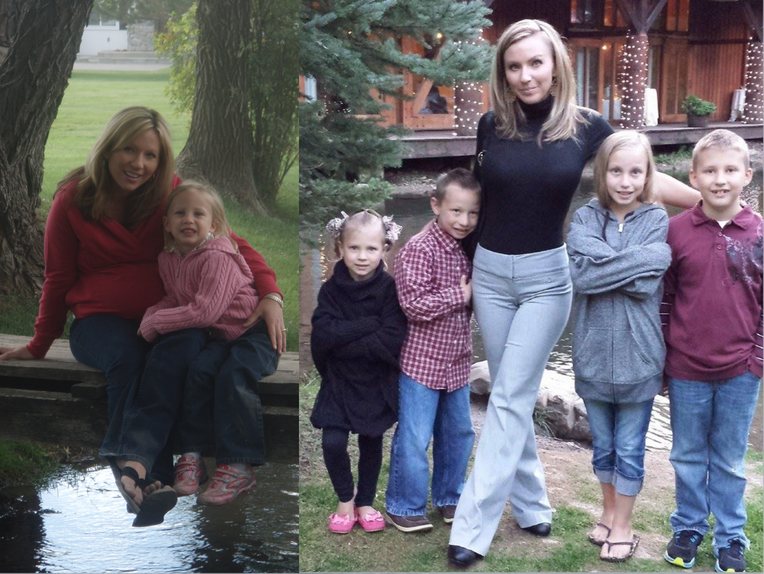 One day I decided that my family deserved more than processed foods, and I was ready to make the shift. 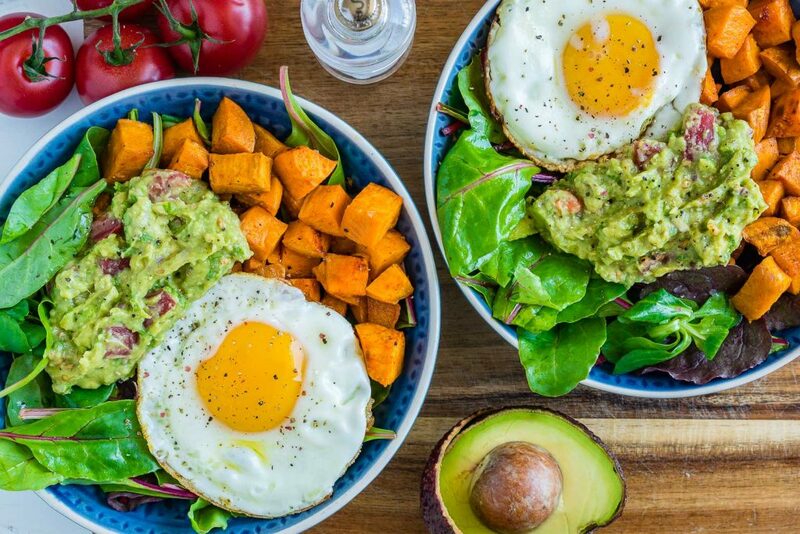 I joined the 30 Day Clean Eating Challenge and it was awesome! The plan was simple, of course prepping takes a bit of work, but I saw that the hard work was well worth it. After the first week I already had more energy, I was shedding pounds and felt really good. 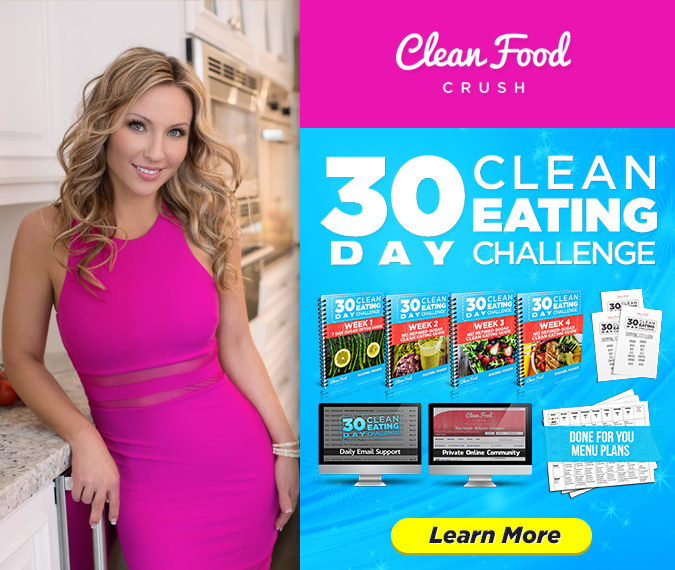 The whole month was a success and now I have been following CleanFoodCrush and Eating Clean for 2 months! I cook the same for my children as I do for myself because I realize sugar isn’t healthy for any of us. Now, I cook with my kids and teach them to take care of their body’s and their minds. I use to have pizza every week! I haven’t had traditional pizza since I started CleanFoodCrush and I don’t miss it! 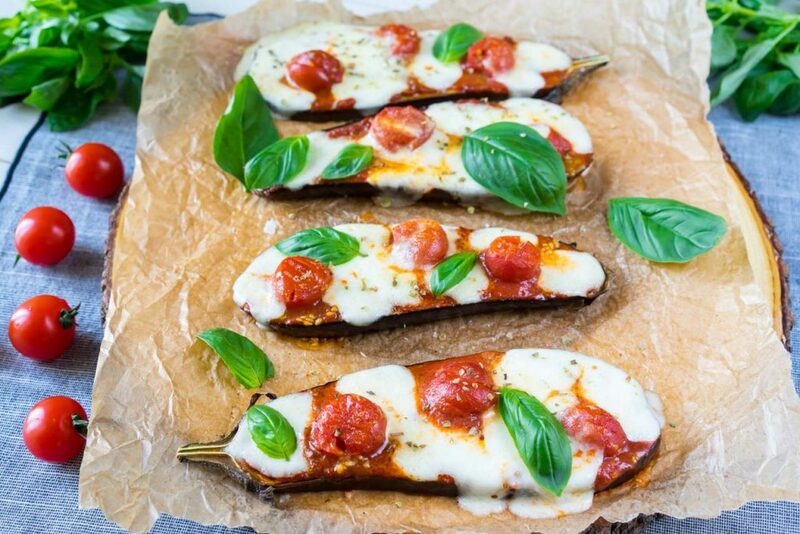 There are Clean Eating options like these mini-melty eggplant pizzas now! My migraine attacks have diminished tremendously and my Doctor and I are hopeful that I might diminish the daily meds I take to prevent the migraines entirely. I look and feel better. I AM SO HAPPY! 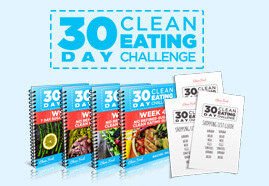 If you are thinking of trying the 30 Day Clean Eating Challenge, do it! The support from the private group really makes a big difference. Rachel and her team members Billie-Jo and the others are so helpful! No one is perfect and any step towards a healthier lifestyle is a good step worth taking. We can do it all!